ALBANY, N.Y.; APRIL 10, 2019—In the recently approved budget, New York State directed $500,000 to the School Mental Health Resource & Training Center, the Mental Health Association in New York State (MHANYS) announced. The funding allocation falls short of the $1 million included in last year’s budget—which MHANYS had requested again this year in order to fully sustain the Center’s robust, statewide operations. After New York’s first-in-nation mental health education law went into effect in July 2018, MHANYS launched the Center to provide educators and school districts with assistance and guidance as they develop new curriculum and create programs to support student mental health. MHANYS will now begin the work of shifting resources as necessary to ensure the School Mental Health Resource & Training Center continues to deliver on its mission of helping New York’s schools meet the mental health needs of their students. “We are grateful for the support that the Governor and State Legislature have provided the School Mental Health Resource & Training Center. The state’s recognition of the importance of mental health in schools has been a key driver behind the progress we’ve made,” said MHANYS CEO Glenn Liebman. New Yorkers who care about the mental health in schools can get involved and help. To start, they can take the pledge to help end the stigma surrounding mental health at MHANYS.org. MHANYS launched the pledge initiative and created an awareness toolkit in preparation for Mental Health Awareness Month in May. It’s available at https://mhanys.org/maypledge. “After taking the pledge, you can help highlight the importance of investing in student mental health by sharing on your social media pages, talking with your friends or contacting your elected officials,” Liebman said. Since its launch, the School Mental Health Resource & Training Center has already made a difference for thousands of students and educators. About 60 percent of all public schools in New York have accessed the Center for professional development, information, assistance or support. Over 1,400 educators have accessed its K-12 lesson plans. Its community-based resources search tool has been visited 1,725 times. More than 325 educators and school staff have completed one of its online training programs. Regional staff recently provided mental health instruction to over 1900 middle school and high school students in four school districts. School districts and educators can contact the Center to ask questions or request assistance by email at schools@mhanys.org, or by calling 518-434-0439 Monday through Friday, from 8 a.m. to 5 p.m. The Center can be visited online at www.mentalhealthednys.org. 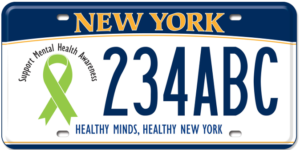 The Mental Health Association in New York State, Inc. (MHANYS) is a nonprofit organization that works to end the stigma against mental illness and promotes mental health wellness in New York State. MHANYS achieves this through training, education, advocacy and policy, community-based partnership programming, and by connecting individuals and families to help. Following its successful efforts to secure approval of a law requiring mental health instruction in schools, MHANYS established the School Mental Health Resource & Training Center to facilitate effective implementation of the new law. Across the state, MHANYS has 26 regional MHA affiliates that are active in 50 counties. For more information, visit https://mhanys.org/.